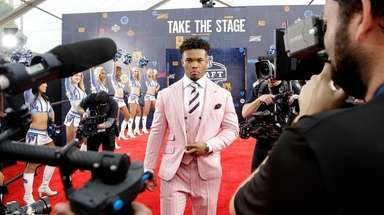 The plan had been to proceed to a second round of interviews. But once Mickey Callaway presented his case to become the Mets’ 21st manager, team brass shifted focus. Their mission no longer was whom they would hire but how they could persuade him to take their offer. “I am the most excited guy in the world right now to be here and to be able to work with these people,” Callaway said Monday at a news conference in which he was officially announced as the Mets’ manager. 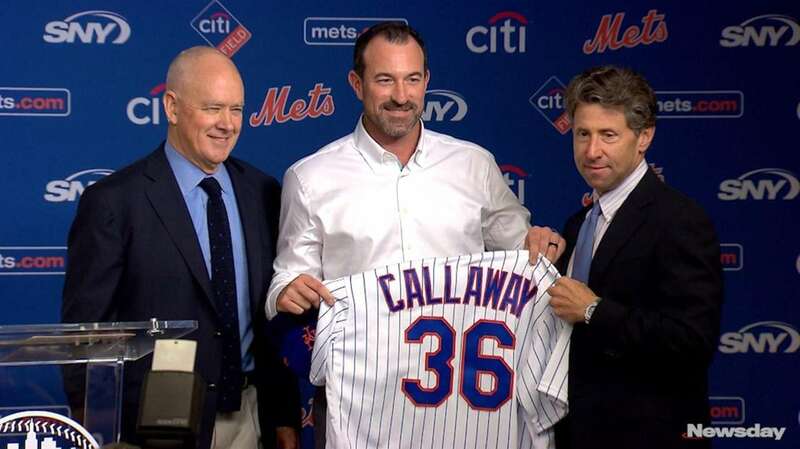 “I’m probably the most excited guy you’re going to see in a long time,” said Callaway, who showed some of the qualities that made him the replacement for Terry Collins. Callaway has never managed at any professional level, yet he handled his introduction with wit and charm. He said his brother was named after Casey Stengel, the Mets’ first manager, and that he was named for Mickey Mantle. Buzzwords colored his comments, too. He spoke of instilling a cohesive culture in which collaboration would be embraced. It echoed his experience in Cleveland with manager and mentor Terry Francona. For Callaway, leaving the Indians pitchers he helped mold was tough, even though he long envisioned himself as a manager. Callaway deftly avoided questions he could not answer — such as how he will fill out his coaching staff — an acknowledgment of the collaboration expected with the front office. But mostly, his mandate became clear. Despite World Series expectations, the Mets were 70-92 in Collins’ final season. 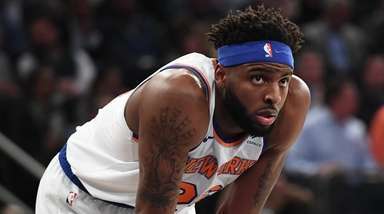 A report by Newsday at year’s end revealed communication gaps between Collins, his front office and his players, many of whom had become disillusioned. In Callaway, the Mets seemed to champion the opposite approach. Collins was criticized for not reaching out to all of his players, but Callaway devoted so much of his introduction to the importance of forging relationships that it seemed he had been hired to manage an orphanage. Now the work begins. After praising New York and the Mets’ fan base, Callaway said he’s spoken to team captain David Wright and intends to continue calling other team members. Then comes assembling a coaching staff, one that could be without a mainstay. Hitting coach Kevin Long has permission to speak with other clubs after he was passed over for the managerial job. A source confirmed that he is in the mix for the Nationals’ opening. Once he completes what he called a “critical” offseason, Callaway said the real work will begin with players.